← Russian News: January 8th, 2008! Govt. Bans Tobacco Advertising in Russia! “Russia’s government has approved the federal bill on the RF joining the World Health Organization’s Framework Convention on Tobacco Control. The respective decision was taken at the cabinet’s meeting. Joining the convention means Russia will introduce a number of restrictions for cigarette producers in the nearest five years, banning the tobacco advertising, sponsorship and sales promotion in part and in whole. Any state that signed the convention has three years to eliminate any chance for misleading a buyer as to the supposedly lower harm done by the light or superlight cigarettes vs. the ordinary ones. The tobacco producers will have to inform about all components of tobacco smoke and the warning inscription will cover at least 30 percent of each pack. “Russians die not of disease, but of alcohol, smoking and bad diet. And no proper measures capable of easing the effects of these factors are anywhere in sight,” says the daily. “Talking about low birth rates in Russia is a habit,” the daily quotes Kirill Danishevsky, a consultant at the Open Institute of Health, as saying. “In the meantime, in this respect we are little different from the European countries. It is a far more complex puzzle why we and our near neighbors – Ukraine and Belarus – are states unique from the standpoint of mortality statistics. On the average Russian men die at the age of 56-58, while many of their counterparts in the West live to 78. Medics say over-drinking kills 500,000 people with heart problems. Most of them had never complained about bad health. Few know that two bottles of vodka consumed over a period of less than two hours are a lethal dose for most Russians. Analysts say that on holidays and on weekends many of those who drink fall short of the lethal dose by a very narrow margin. One hundred and sixty thousand of those who die of injuries are victims of hard drinking as well. Alcohol is involved in nearly 80 percent of all murders. These are committed not by maniacs or habitual felons, but by drinking pals. Tobacco is the second worst killer. According to estimates, 65 percent of Russian men and 30 percent of women are chain smokers. 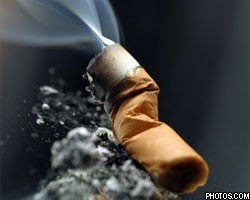 About half of them die of smoking-related diseases.